Consent Festival What does "consent" mean? Kick off your Midsumma Festival with this one-day, special event to explore conversations that connect ideas of consent with LGBTQIA+ communities, welcoming intersectionality and accessibility. 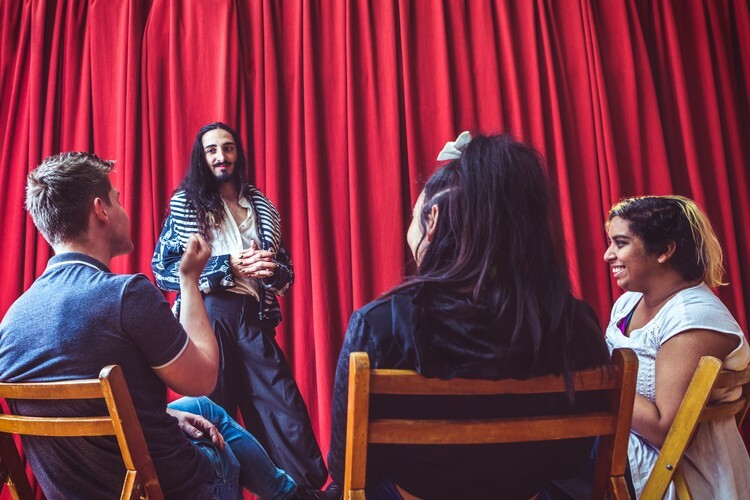 Engage through open forums, practical workshops, deep-dive discussions, and even sparkling performances, all inside a safe space to unpack the taboos, share experiences, and unite in passion and curiosity. Gather at the Melba Spiegeltent for an introduction to the day's key themes including Consent in Relationships, In Workplaces, In Health and In Art. From there, disperse into the Circus Oz building to choose your own journey of sessions including panel discussions, yoga, life drawing or workshops delivered by circus performers and thought leaders. Between times, the Melba becomes a hub of craft, creativity and conversation for people to connect with speakers and each another. Once the day is done, celebrate this one-of-a-kind event with a range of cabaret and variety superstars hosted by Fringe Wives Club. This event humbly acknowledges the traditional owners of the lands and waters on which we respectfully meet. Trigger warnings apply. Some sessions will be 18+. Delivered with many thanks to the generosity of Melba Spiegeltent and Midsumma Festival, as well as our community supporters and Programming Committee. Limited number of Pay What You Can tickets available for those with lack of funds.